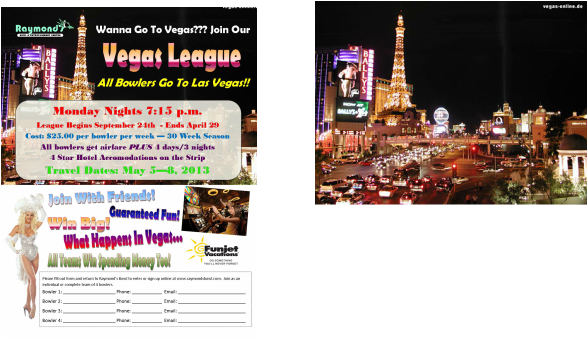 Everybody goes to Las Vegas in this fun trip league! All teams win extra spending money too! Your trip to Vegas includes 4 days/3 nights in a 4 star Strip hotel (double occupancy) and round trip airfare. Travel is May 5-8, 2013. A great way to relieve the stress of a Monday! A fun coed league perfect for any bowler.